Located on the Oregon Coast overlooking the Pacific Ocean with trail to beach. Five guest suites each have outstanding ocean view, queen bed, fireplace and private bath. Inn offers gourmet kitchen, formal dining room, wine/coffee/tea bar, outdoor fire pit and peaceful gardens. Nice private quarters! 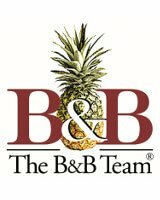 A legal B&B, operating as a vacation rental in the heart of one of Portlands most vibrant and prestigious historic neighborhoods! Historic, quaint, iconic business in Maupin, Oregon. Our family has owned it since 1955. 12 cabins and a cafe adjacent to the Deschutes River. Unique 97' Sternwheel Riverboat was purpose-built as a Bed and Breakfast in 1993, 3000’sq. on 3 decks. Owners ‘suite, 5 guest cabins solarium, living room, dining room seats 14, 2 galleys. Spectacular setting on the central Oregon coast just .6 miles off US Highway 101. Eagle Rock Lodge is an 8 room upper midscale select service resort with over 400+ feet of frontage on the McKenzie River on 4.21 acres. Features $486,000 in Capital Improvements and 120 person outdoor wedding/event capacity. Property features ~1500 sq.ft. residence, with 2 bedrooms, 2 bathrooms. One of a kind specialty property includes 18 room hotel, full commercial kitchen, complete high-end restaurant, and bar/lounge with separate entrance. Outstanding potential as a wedding/event venue. All FFE included! Successful 5-room bed and breakfast in popular tourist town of Ashland, Oregon, home of Oregon Shakespeare Festival. 8 month busy season, annually returning guests. Historic property.